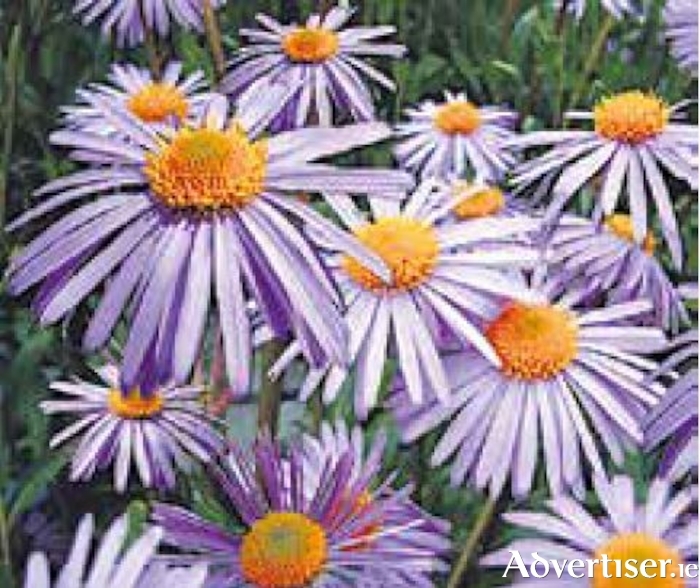 Asters, or Michaelmas daisies, are good candidates for the Chelsea Chop. The Chelsea Chop – it sounds like a rather edgy haircut, doesn’t it? In fact the term refers to the cutting back of flowering perennials in early summer in order to slow down flowering and extend the season until later in the year. Named after the world famous RHS Chelsea Flower Show, it’s a technique that’s usually carried out around the time the show is held, which is during the third week in May. Plants that flower later in the season are cut back by about one third to a half, which results in flowers that may be smaller but are usually more numerous. It also helps to keep the flowering season going into late summer and even early autumn, and helps the plants to maintain a more compact structure, which lessens the likelihood of them flopping over and reduces the need for staking. Because spring came so late this year, garden growth has only been catching up over the last couple of warmer weeks, so this year you should be safe carrying out the Chelsea Chop even now, halfway through June. As a general rule, the closer to flowering time you cut the plants back, the more you will delay flowering, so it’s usually a good idea to limit the chop to plants with good new season stem and leaf growth that haven’t started to form flower buds yet. You needn’t be too fussy – a trim with a shears will usually do – but you might just want to tidy up any stems left exposed down to the next set of leaves. Do keep an eye out for slugs who may be attracted to fresh, new growth that results.